The Serra de Tramuntana mountain range sprawls for approximately 90 km, from the southwest to the northeast of Mallorca. With more than a dozen peaks at altitudes of over one thousand metres, these mountains form one of the most emblematic areas on the island. The predominance of calcareous stone in these mountains and constant interaction with the surrounding water have given rise to a unique landscape with endless karst formations. Menut, Binifaldó, Son Moragues, Cúber, Sa Coma des Prat, Mortitx, Ses Figueroles, Míner Gran, Sa Coma den Vidal, Gabellí Petit and Planícia are among the many public estates that belong to the Autonomous Community of the Balearic Islands and form part of the Serra de Tramuntana Nature Area. Together, these estates have a total surface area of approximately 4000 ha. Gathering asparagus, wild mushrooms, esparto, fan palm, fruit and other items for personal use, except in some areas of the site. Gathering non endemic snails for personal consumption, except in some areas of the site. Traditional agricultural and livestock activities. Small family allotments for personal consumption in the immediate surroundings of existing properties. Hunting in the reserved grounds and controlled areas. Non-competition recreational and sports activities, except in some areas of the site, as long as these do not imply excessive noise and are not cross country. Recreational and sport diving in the sites marine area. Professional filming or photography, especially of an advertising nature, as well as video recordings for the television. Exploitations and concessions for privative use of water. The use of plant protection products to treat plagues. Gathering asparagus, wild mushrooms, esparto, fan palm, fruit and others for a commercial use. Gathering non endemic snails for a commercial use. Changes to the natural ground covering. Non-traditional agricultural and livestock activities and uses. 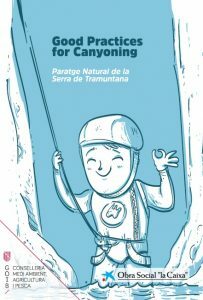 Climbing, abseiling, free flight, descents into ravines, canyoning and other high risk activities. Catching slipper lobsters (Scyllarides latus). Improvement of lanes, forest tracks or other types of paths and roads available for public use, or the elimination of residual forest biomass. Non hunting shooting competitions in some areas of the site. The destruction of minerals, rocks and remains. Activities that modify embankments, grooved limestone, gullies and other areas and karstic moulded morphology. Actions that could lead to significant degradation of the marine environment, or that of the aquifers, torrents, ponds and springs. Recreational and sporting activities in some areas. Collecting mother of pearl Pinna nobilis. Anchoring over meadows of Posidonia oceanica and maërl beds. Cross country wheeled transport apart from what is essential for carrying out agricultural and forestry tasks. Introduction of non-native species of flora and fauna that have invasive characteristics into the natural systems. Use of plant protection products in some areas of the site. Use of specimens or populations of laurels, yews, boxwoods, maples and other species belonging to relictual communities. Lighting fires in forest areas. Recreational and sport sailing as well as the use of any type of boat or floating device whether sail or motor, in the designated swimming areas. Divers cannot have, in their personal possession or on their boats, instruments that can be used for fishing or the extraction of marine species. The main objective of the classification of a protected Nature Area is the conservation of its natural and cultural value. The Serra de Tramuntana received its status as a Nature Area through the Balearic Islands Government Resolution of 16 March 2007 (BOIB, No. 54 EXT). With a land zone of 62,403 ha and a marine zone of 1,123 ha, this is the largest protected nature area in the Balearic Islands. 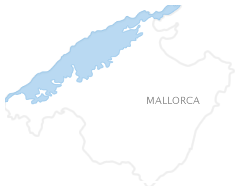 In fact, its borders cover parts of the municipal areas of Alaró, Andratx, Banyalbufar, Bunyola, Calvià, Campanet, Deià, Escorca, Esporles, Estellencs, Fornalutx, Lloseta, Mancor de la Vall, Palma, Pollença, Puigpunyent, Santa Maria, Selva, Sóller and Valldemossa. 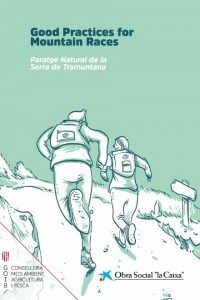 The Natural Resources Management Plan of the Serra de Tramuntana, which was approved by Decree 19/2007 (BOIB No. 54 EXT), aims to serve as a general structure for the management of natural resources and values. For such purpose, this plan has divided the area into zones (exclusion, limited use, compatible use and general use) and regulated its use (permitted, authorised and prohibited). 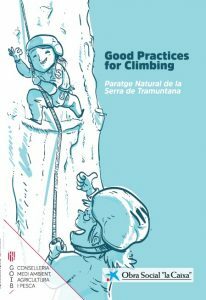 The Serra de Tramuntana Nature Area includes the Natural Monument of the Torrent de Pareis, Gorg Blau and Lluc (which received such status by virtue of Decree 53/2003, of 16 May) and the Natural Monument of les fonts Ufanes (declared such by Decree 111/2001, of 31 August). Moreover, the Nature Area either partially or completely encompasses different zones that are also included within the Natura 2000 Network (Sites of Community Importance and/or Special Protection Areas for Birds), protected oak forests and urban protection legislation, such as the Serra de Tramuntana Natural Area of Special Interest (ANEI de Tramuntana), among others. 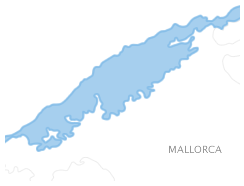 Located in the northern part of Mallorca occupying the municipalities of Alaró, Andratx, Banyalbufar, Bunyola, Calvià, Campanet, Deià, Escorca, Esporles, Estellencs, Fornalutx, Lloseta, Mancor de la Vall, Palma, Pollença, Puigpunyent, Santa Maria, Selva, Sóller and Valldemossa. The landscape of the Serra de Tramuntana is noted for its diversity. The many different wooded, shaded and sunny areas, shaped by oak forests, pine forests, Mauritania Vine-Reed and other species, alternate with agricultural fields, where olive groves are particularly common. One of the most significant aspects of this mountain range is the vast wealth of its plant life. The countless endemic species include some extremely rare plants and others with very extensive populations, such as the Balearic St. John’s wort (Hypericum balearicum). The Serra de Tramuntana is also a refuge for animal species such as the Mallorcan midwife toad (Alytes muletensis), and accommodates numerous endemic invertebrates, birds, cave-dwelling species, and more. The coastline of the Serra de Tramuntana boasts abundant Posidonia oceanica prairies. Along with the maerl beds and coralline communities, these algae species are particularly worthy of note for their beauty and good state of conservation. Human activity has been connected with the Tramuntana Mountains since time immemorial. Proof of this can be seen in the stone wall borders and terraces, icehouses, watchtowers, fortifications and water deposits, which embody an important part of our history. Managed by Espais de Natura Balear, the Serra de Tramuntana Nature Area has the following facilities: -Nature Area Information Centre-Ca s’Amitger (Lluc). Ctra. Lluc a Pollença s/n. Telephone: 971 51 70 83 / 971 51 70 70. -Binifaldó Environmental Education Centre. -Mountain refuges: At El Gorg Blau, Cúber, Son Moragues, Coma de Binifaldó, Lavanor and the comuna de Caimari. -Campgrounds: Es Pixarells and la Font Coberta. For reservations, call: 971 51 70 70/74 -Recreational areas. The Cases de Planícia Trail is signposted as “Camí de les Cases de Planícia”. 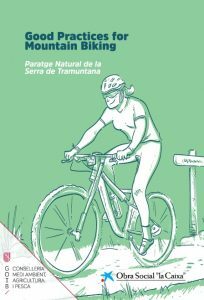 This itinerary goes through the public estate of Planícia, which forms part of the Serra de Tramuntana Nature Area, in the municipal area of Banyalbufar. It starts at the entrance to the estate, which is located at kilometre 90.2 of the Pollença-Andratx highway (Ma-11) and finishes at the estate’s houses. This trail can connect with other itineraries, and particularly with those of Font de s’Obi and Aljub dels Cristians. Before you begin the hike, you may like to know a bit about the history of the estate. Planícia was documented as such as in the 14th century. Owned in the 15th century by the brothers Jaume and Gregori Johanm, the farmstead made its way to the hands of Francesc Sunyer Colomines, a knight and a minister of the Inquisition. In 1732, it was owned by the Marquis of Campofranco, apparently marking the beginning of abundance for the estate. During this period, the estate facilities included houses, an olive oil mill, an animal-driven mill, a still to produce liquors and a cellar. There was a vegetable garden, as well as olive groves, carob bean groves, fig groves, vineyards and grain fields. The grapevines, which were sown in different places around the estate, produced up to 20 somades of grapes (a somada is a measurement based on the load that could be carried by a mule, which was ususally 4 sacks). In 1938, due to the great social changes and the progressive decline of the Marquises who had gradually sectioned off the estate, the Balle family purchased Planícia and continued with agricultural production until the 21st century. In February 2009, the estate was purchased by the Autonomous Community of the Balearic Islands and the Spanish Ministry of the Environment, and ever since, it has been administered by the Regional Ministry of the Environment of the Balearic Islands. The path leading to the estate’s houses begins at the estate entrance gate, which is located on the highway. Please keep to the asphalted road at all times. You will come to the first bends in the path beneath the shade of a holm oak and pine forest. At the crossroads with the GR (long trail) from Estellencs, the landscape changes and you will begin to see the first olive tree groves. In the past, olive oil was the most important product made by mountain estates. Hundred-year-old olive trees are found virtually everywhere in the nearby area. In fact, it is said that the Carthaginians taught the islanders the art of grafting the wild olive trees that grow in all of the island’s scrublands. As you continue down the path, you will see the starting point of the Font de s’Obi Itinerary. A bit further down the road, you will come to the Es Camp Gran (large field). According to the elderly generations of Banyalbufar, this flat plane or prairie lends its name to this estate, which is nestled in the mountains. The largest cultivation area in Planícia, this was the site of the estate’s oldest olive trees. While in the hands of the last owners and coinciding with the decline in olive oil production, those trees were removed to create pastures for the sheep. On the left, you will see the porch structure known as the Porxo des Camp Gran, which is open on one side. This dry wall construction can serve as a shelter in case of an unexpected rainstorm. Once you have passed the Es Camp Gran, just past the starting point of the Aljub dels Cristians trail, you will see three stone pines (Pinus pinea), which were listed on the Balearic Islands Catalogue of Singular Trees in May 2004. A pair of long-eared owls (Asio otus) has built a nest in the crown of one of the trees. Along the line between the cultivated fields and the forest area, at an elevation of 420 metres, you will now arrive at the houses, which offer a spectacular panoramic view of the coastal areas of Banyalbufar, Estellencs, Andratx and Sa Dragonera. Near the main building of the houses, you will see other buildings that were designed for agricultural purposes. Sitting a bit further away, in the Camí des Rafal trail, is the Casa de les Collidores, a house that was built to accommodate the olive harvesters who came from the nearby towns. The estate houses are located in a privileged spot on the north side of the plateau of Planícia. Still in good condition, they comprise one of the best remaining examples of estate houses in the Serra de Tramuntana mountains. In 1636, the distribution of the houses was as follows: olive oil mill, kitchen, sitting room and olive oil cellar. The number of rooms and the quality of their furnishings are indicative of the original humble nature of these houses. Today, Planícia’s buildings are complex, with an elongated layout, the main façade of which faces the northwest. The buildings consist of two floors, with the exception of the main entrance area, which has a single floor, crowned by a balustrade. The main door bears a segmental arch that is flanked on each side by a window. This door opens to a hall that in turn leads to a small and well-proportioned courtyard. Covered in grapevines, the courtyard separates the more modern house of the owners, on the right, from the older house of the tenant farmers, on the left. Sitting in the left rear corner of the courtyard is the rainwater cistern. With an olive oil tradition dating back to among the first in Mallorca, Planícia in fact has its own mill, which continued to produce oil for market distribution until just a few years ago. The left wall bears the construction date of the olive oil mill, 1724, which is the same year that the tenant farmer houses were built. At the time, this was considered to be a modern oil mill; its two beams giving it still more prestige. In the 20th century, while owned by the Balle brothers, the system was mechanised to expedite the olive oil production process. During the 1944-1945 season, this mill produced 12,794 litres of olive oil, an amount that can be considered normal or perhaps even a bit low. According to an informant, one year the harvest was so good that the mill put out nearly 72,000 litres of olive oil. The oil cellar, which is attached to the mill, still contains the oil storage tank and the built-in basins where the water was separated from the oil. Once the damaged olives and the unwanted impurities were removed from the batch, the oil production process began. Below is a brief description: The first step was to crush the olives and form a paste. The olives were poured into an inverted-pyramid-shaped wooden silo known as a tremuja. The tremuja was in turn connected to a circular stone, which acted as a base. Rotating on top of the base was the rutló, a large conic-shaped milling stone that crushed the olives as it went round. The movement of the trull, or mill, required the strength of an animal, which was thus attached to it and walked in circles, moving the gears. Pressing the olives was the second step of the process. The olive paste resulting from the initial milling process was then collected by an olive mill worker and placed in circular straw trays known as esportins. Once these containers were full, they were stacked on a large coarse stone plate known as a bassi and then pressed beneath the wooden beam, which was formed by a long and heavy tree trunk. Two men would lower the beam, using a large stone known as a quintar, forming a sort of pulley mechanism. The straw trays were placed under pressure and constantly doused with boiling hot water from the caldron, which was always on the fire. The oil and the hot water that dripped out of the trays were collected on the bassi and then channelled into the sorting basins. The last step of the process involved the separation of the hot water from the oil, which floated on top. This was done in the sorting basins. Once the process was complete, the oil was stored in a room known as the oil cellar. This cellar also served as a storage room for the oil measurement utensils. The oil was stored in metal jugs known as odres until sold. Olive oil production could be reinstated at the Planícia mill in the future. This itinerary goes through the public estate of Planícia, which forms part of the Serra de Tramuntana Nature Area, in the municipal area of Banyalbufar. From the estate entrance, follow the Cases de Planícia trail, and 815 metres down the road you will see the head of this trail, which will take you to the Font de s’Obi spring and bring you back to the Cases de Planícia trail. A part of this itinerary runs along the old Camí Reial, or Roman highway, which connected the towns of Banyalbufar and Estellencs and today forms part of the GR-221 (long trail) that connects Andratx with Pollença. There is signposting all along the trail. The public estate of Menut, Mountain of Public Utility, was acquired by the State and was transferred later to the Autonomous Community from the Balearic Islands (CAIB). It is a matter of the first public estate of the CAIB, stated in year 1927, together with the public estate of Binifaldó. The estate has, moreover, the forest nursery of Menut, used for making repopulations with autochthonous saplings, since the forties. It has been declared Shelter of Hunting, therefore hunting is prohibited. Area: 358 hectares. Situation: it is found placed in the town of Escorca, in the central sector of the Serra de Tramuntana, in the valley of Lluc. How to get there: the main access to the estate is the road Ma-10, from Lluc to Pollença, and the stretch paved from the path of Menut until the houses of Binifaldó and the hill from Pedregaret. Coordinates: 39.829104, 2.898331. The estate of Plain was acquired by the Ministry of Environment of the Government of the Balearic Islands in the month of Februaryin 2009. The possession of Plain has one antique considerable, since the houses turn up quoted in the 14th century. It stands out for the nest building of the pilgrim hawk and the shod eagle. The fountains that pour out in the posessió are also numerous. The more named one is Sa Menta, one of the most important of the term of Banyalbufar. The forest of Planícia is one of the oak wood where a major concentration of rolls of silo and shacks of coal merchant is found. People speak about more than 150 rolls, with its shacks and several ovens of bread. It is an estate of special botanical interest, with a wealth of endemisms and with a great number of reduced distribution species. Talking about the fauna it highlights the presence of the ferreret, endemic of the island of Mallorca. Area: 442 hectares. Situation: The possession of Planícia is placed in the town of Banyalbufar. Good part of the slope occupies northwest of la Mola of Planícia, since it spreads from the peak of this important elevation of 933 meters until the bank of sea. How to get there: the entry of the estate is in the kilometric point 90.2 of the road from Pollença to Andratx (Ma-10). Coordinates: 39.670728, 2.49424. The public estate of Cúber is considered one of the most valuable spaces of the Balearic Islands, highlighting the reservoir of the same name in its central zone. It was acquired by the Government of the Balearic Islands in 1989 and it is at present also a Mountain of Public Utility. In 2001 Cúber it was declared Shelter of Hunting, for what is prohibited any modality of hunting. Area: 362,68 hectares, in which have to be added the 59,30 it has occupied for the reservoir of Cúber, property of the Town Council of Palma. Situation: the public estate of Cúber is located in the southwestern extreme of the town of Escorca, in the north sector of the Serra of Tramuntana. How to get there: the road Ma-10 Pollença-Andratx crosses the estate for its northeastern extreme, which allows the access rolled in the public estate from Lluc and from Sóller. Between kilometers 33 and 34 the two main accesses to the users of the estate are found: the first in the recreational area of sa Font des Noguer and Camí de la Canal, and the other one, in the parking lot of the reservoir, where people access on the way towards the shelter. Coordinates: 39.784664, 2.789497. This is the first public estate in the autonomous community, declared in 1927, together with Menut public estate. The property is declared a hunting lodge, so any form of hunting is prohibited. Area: 377.06 hectares. Location: is located in the town of Escorca the central sector of the Tramuntana mountains, in the valley of Lluc, in the Paratge Natural de la Seerra de Tramuntana. How to get there: The main access to the property is by the way from Valldemossa to Son Gallard. Coordinates: 39.829104, 2.898331. Area: 579.96 hectares. Location: it is located in the western sector of the massif of the Yew, in the town of Valldemossa, within the natural landscape of the Serra de Tramuntana. Within its boundaries are the mount of Caragolí, mount of Boixos and mount Gros, all of them are 900 metres. How to get there: The main access to the property is by way of Valldemossa, Son Gallard. Coordinates: 39.726993, 2.634659. The public estate of Mortitx was declared Mountain of Public Utility in the year 1983, whem its management remained in hands of the Government of the Balearic Islands. In those moments, the purchase of estates on the part of the Administration was set in a strategy of enlargement of the public estates. The estate is declared Shelter of Hunting, for this reason hunting is prohibited. Area: 719,27 hectares. Situation: the public estate of Mortitx is in the more oriental coastal extreme of the town of Escorca. 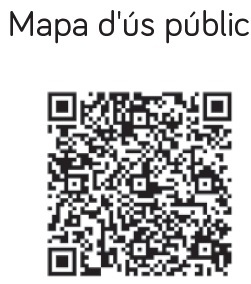 How to get there: the public estate is accessed by the road Ma-10 from Lluc to Pollença, 10.3 km. Coordinates: 39.887085, 2.902451. Public estate Sa Coma Es Prat was acquired by the Government of the Balearic Islands in 1989. Mount has been declared a public utility and hunting lodge, so it is not allowed any hunting modality. Area: 189.76 hectares. Location: it is located in the center of town Escorca within the northern sector of the Natural Sierra de Tramuntana. How to get there: the estate has no public road access. You can reach it from the public estate of Cuber, from Tossals Verds public estate or from the public estate of Sa Mola de Son Massip. Coordinates: 39.792182, 2.82486. The public estate of Ses Figueroles was acquired by the Ministry of Environment of the Government of the Balearic Islands in year 1997, with the objective of acquiring terrains to dedicate them to the conservation of the ferreret and from its habitat. At present it is also a Mountain of Public Utility. From 2001 any hunting modality is allowed, because it was declared Shelter of Hunting. Area: 272,58 hectares. Situation: the public estate of Ses Figueroles is located in the extreme oriental north of the town of Selva, with a small portion of terrain in Escorca, in the north sector of Serra of Tramuntana. How to get there: The public estate does not have rolled access. Walking can be reached from Alcanella linking of public estates of Menut, Binifaldó and Míner Gran. Coordinates: 39.807217,2.905884.